It's official...I'm in love with Pinterest. It keeps me company in the wee hours of the night as I nurse my baby. We are friends. Good friends. But the other day it just became by new B.F.F. Because as I was randomly scrolling through the 'Popular" posts I came across my Prayer Pail tutorial! And for a second I felt like a celebrity. And then it was gone and life went back to normal. Are you guys on Pinterst? Do you think it's as awesome as I do? 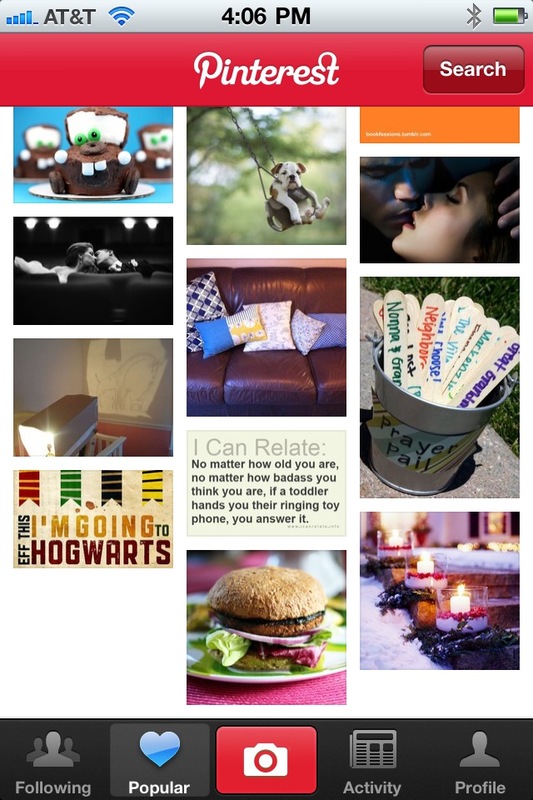 I am a total Pinterest junkie! Glad I am not the only one! Do you care if I follow your boards and pins? Yes! Just recently signed up and more recently got the mobile app! I'm on it during nursing and pumping sessions too! Love it! I love Pinterest. You've probably had more than just your prayer pail pinned ... and I see that Stacy told you how to check. It's kind of fun to see what gets pinned from your site. Grrrr, I hate autocorrect on my iPhone! I meant congrats not citrate!!!! I am in love with Pinterest!!!! Oh, yes. Pinterest is a black hole of fun and ideas! I so wish I would have thought of it myself! I have tried several times to get on Pinterest and can't seem to do it. What am I doing wrong? I need some expert advice. Thanks!